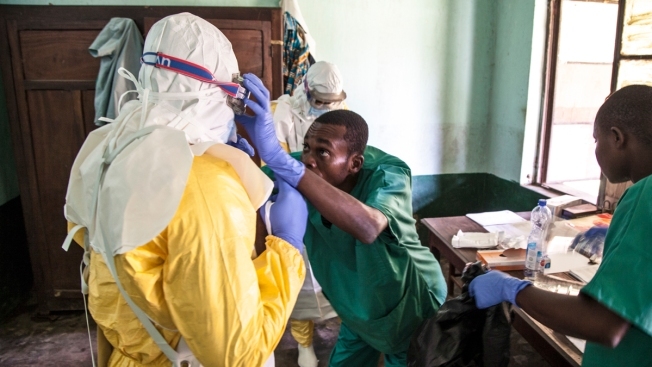 In this photo taken Saturday, May 12, 2018, health workers don protective clothing as they prepare to attend to patients in the isolation ward to diagnose and treat suspected Ebola patients, at Bikoro Hospital in Bikoro, the rural area where the Ebola outbreak was announced last week, in Congo. A total of 44 cases have now been reported, including 23 deaths, the World Health Organization reports. 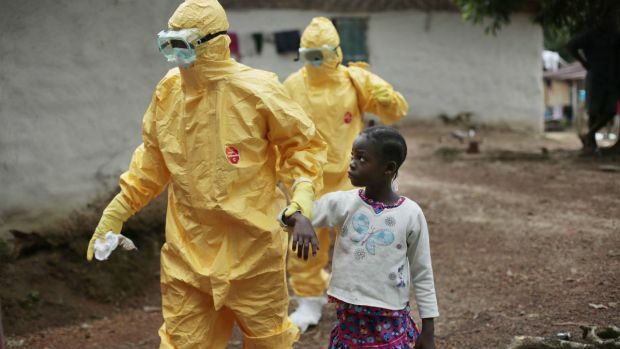 The World Health Organization sent 5,400 doses of the experimental Ebola vaccine to Congo on Wednesday. Late Thursday, Congo's Ministry of Health announced 11 new confirmed Ebola cases and two deaths tied to cases in the country's northwest, none of which were in Mbandaka. There has been one new death in Bikoro, where the first death took place. That new death had epidemiological ties to another case. The other death was a suspected case in Wangata, the ministry said.